The Black Death: Turning Point and End of the Middle Ages? Before humanity sets foot on Mars, bees are more likely to do so, or at least their robotic version. Biorobots—machines that emulate the functioning of biological organisms—have reached space exploration with Marsbees, NASA’s plan to explore all corners of the red planet, even those where their rovers can’t reach. The US space agency has had great success with its rovers, especially Curiosity and Opportunity, but these are limited in the extent of land they can cover. The rocky terrain of Mars is hellish for everything that moves on wheels, so the idea of NASA’s aerospace engineers is to use robots that can collect data by flying over the surface. As part of the NASA program called Innovative Advanced Concepts—which promotes the development of technologies capable of revolutionizing the future of space exploration— researchers from The University of Alabama in Huntsville and from George Washington University (USA), together with the Tokyo University of Science (Japan), have obtained 125,000 dollars (107,000 euros) in funds to develop the concept of Marsbees. This is a swarm of robotic bees, each with the approximate size of a bumblebee, which will carry integrated sensors and wireless communication devices. 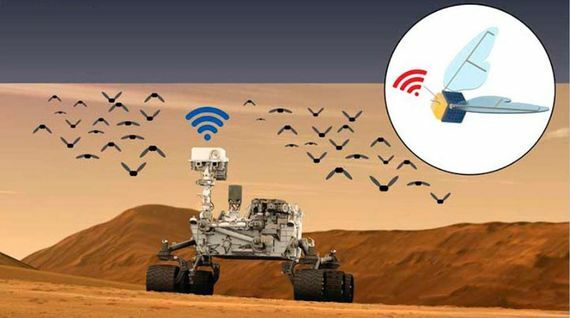 The swarm of flying biorobots would land on Mars through a rover, which would also serve as a charging base and communications centre with scientists on Earth. The biggest impediment to a flying object on Mars is the low atmospheric pressure, less than 1% of the Earth’s, making it difficult to get the necessary lift. “Our preliminary numerical studies suggest that a bumblebee with wings like those of a cicada could reach the height and lift necessary to fly in the atmosphere of Mars,” explains Chang-Kwon Kang, an aerospace engineer at the University of Alabama and one of the leaders of the ambitious project. However, it will be at least ten years before the bees endowed with artificial intelligence are ready to populate the red planet. The Japanese team will first need to build and test a robot specifically designed to operate on Mars. These researchers have already developed what they call a hummingbird micro aerial vehicle that has flown successfully on Earth. The next step will be to test it in a vacuum chamber to simulate the atmosphere of Mars. Meanwhile, the US researchers will perfect the models and calculate the parameters needed to create the Marsbees. “The objective of phase 1 is to determine the design of the wing and to specify the movement and weight that will allow the robot to float with optimum power in the atmospheric conditions of Mars. For this we will use high-fidelity numerical models,” says Kang. The researcher adds that issues such as the optimization of systems engineering, the development of the manoeuvring capabilities of Marsbees, their resistance to wind gusts and their performance at take-off and landing, as well as the energy and remote sensing implications, will be analysed in phase II, still pending approval. In 2013, another model of robotic bees caught the attention of the technology world. They were the Robobees, created by the Harvard Microbiotics Lab, equipped with vision and movement sensors; in 2017, the ability to fly and navigate underwater autonomously was added thanks to a system that converts water into oxyhydrogen, a gas fuel. The objective of its creators is for these biorobots to assist in search and rescue missions, as well as carrying out environmental monitoring. Another model of biorobot that has yielded good results in its initial stages of development and that can serve as inspiration for Marsbees is the MantaDroid, which swims like a ray with flexible fins. Its creators from the National University of Singapore hope to use it in underwater searches and the collection of marine data. 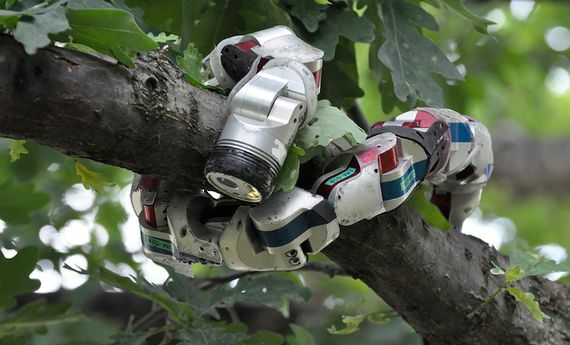 Snakebots, developed in the biorobotics laboratory of Carnegie Mellon University (USA), are intended to search buildings that have been destroyed by earthquakes and to explore normally inaccessible places. In the event that the Marsbees develop as planned, their discoveries could revolutionise the technology of robotic probes to explore the confines of the solar system. In fact, NASA is already considering the idea of ​​a robotic flying machine similar to a drone to study Titan, Saturn’s largest moon.